‘Punch The Air’ have been on the professional entertainment scene for so long now that we have far too party band videos to fit onto just one page. (Also they’d take far too long to load on whatever device you’re currently viewing our website on). This is why we’ve had to split our video content into two seperate pages. We’re really into showing what we can do in a live scenario as opposed to a staged/mimed “In a studio” set up style produced video. 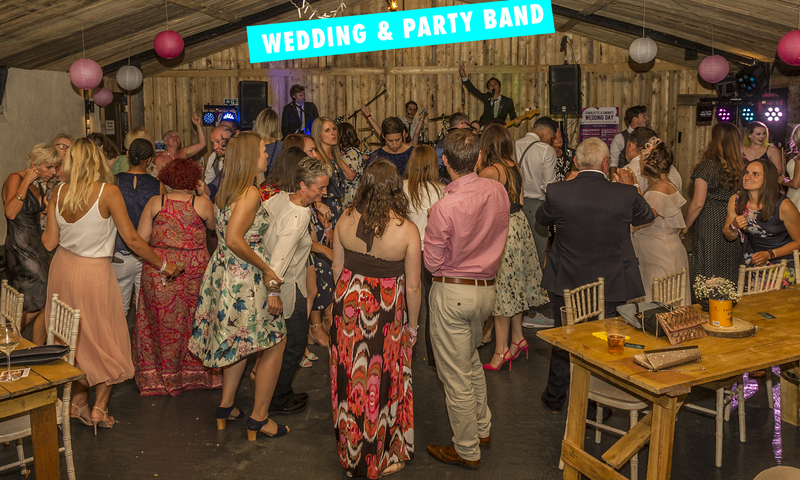 You’ll see guests honest and open reactions to our live performances giving you a great idea of what its like when you hire ‘Punch The Air’ for your wedding or party. Videos 2016-2012 – For videos that were produced a little while longer ago. 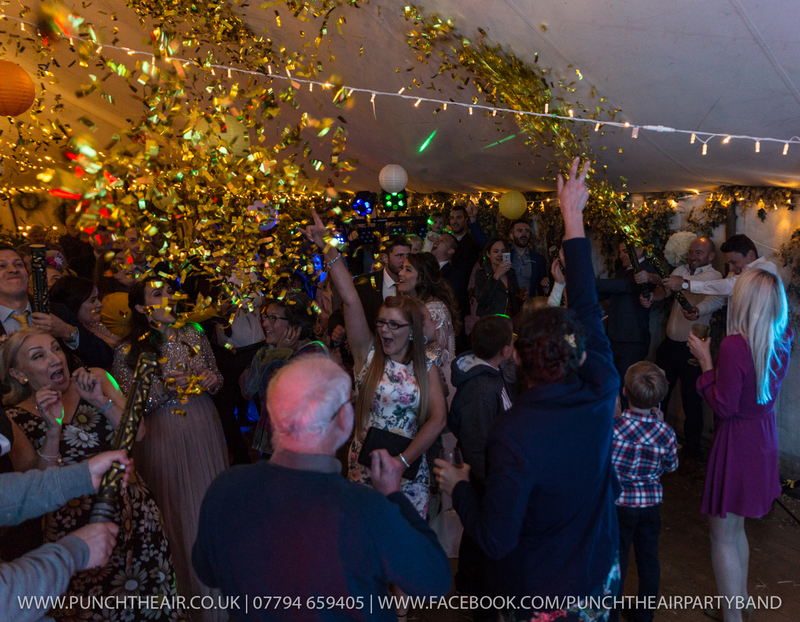 ‘Punch The Air’ are three great guys trying their best to shake things up in the massively competitive world of weddings and live entertainment. Which is why we regularly produce “Day In The Life” style Vlog videos of our expeditions around the country. Here you’ll see what we go through on a regular basis week in, week out at various different types of parties. You’ll see the amount of effort it takes to set up your event with the best sound and lighting. We’re always doing everything we can to make sure your party will go as smooth as possible. You’ll see clients and guests genuine appreciation for us while we’re performing live. Also you’ll hear completely live audio from the event too. We’re not trying to fool anyone in our Vlog videos by adding studio recordings over the top of our live performances afterwards, we really do sound this good live. Here are a couple of our favourite party band videos that we believe sum ‘Punch The Air’ up really well. One of our recent Vlog series of videos showing you what its like when you hire ‘Punch The Air ‘for your wedding. It shows what goes on behind the scenes for a professional party band. How we set up, us chatting with clients, discovering kooky things around the lovely venue and then our live performances. We tried to create a video that summed up in less than 90 seconds what its like for us and guests when we roll into town. The below video succeeds in proving how much fun everyone, including ourselves have during our live performances. You can view even more of our videos on our YouTube channel here.